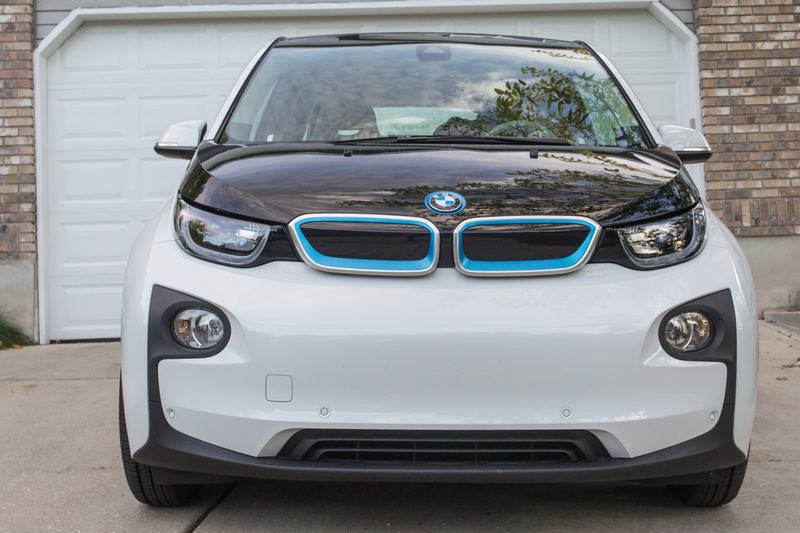 It has been a month since we got our brand new i3 – BMW’s first fully electric car. Our original plan was to replace our second car (an older model Ford Ranger) with something more fuel efficient. We began our search by looking at the Prius models, but in the somewhere in the quest for efficiency the comfort of the driver was compromised. This meant that the car just didn’t feel like something we’d enjoy owning because both my wife and I enjoy driving and we wanted a car to be fun and efficient. Next up was the Volvo v60 that promised a highway efficiency of 37 mpg. And was it fun to drive? Yes! The car had amazing road presence and felt great. We had nearly made our decision at that point. However, we decided to look at others on the list just to be “fair”. The salesperson at Audi wasn’t even interested in talking to us. That attitude combined with the v60 being better than the Audi allroad in all respects meant that frontrunner before the search was instantly disregarded. The Subaru Outback isn’t what it used to be, as they took a perfectly unique and well-loved car and created a monstrosity out of it so that it can fit in “big Americans” as the dealer told us. It was also severely underpowered but it seemed like a worthy alternative to the Volvo. Next up were the Volkswagen diesels. The Jetta was nice and the Passat was roomy, and the cars felt like my Skoda and Golf back home in India (probably because they have the same engines!). Nostalgia, price and the good drive suddenly propelled them to the first choice. However, the pushy salespeople really screwed it up for us. We were tired and didn’t want to cut a check when the baby was crying foul. “15 minutes and you’ll be done. The baby can handle it,” said a sales manager and that settled it. No Volkswagen. We decided on the Volvo then but we wanted a blue car with front-wheel drive. The Volvo dealers didn’t have one in stock but promised to help ship one from another dealer in the country. We agreed. Two days later, there’s no news on that. I went through a hundred dealers’ websites in the States and picked found three that matched our specifications. So, I sent the list to them, and once again there is silence for several days. A full week later, I get an email asking if I had decided on which dealer they should contact. Great! So, that was the end for Volvo. Out of frustration, I began looking at the BMW website because they have diesel wagons that are neat. That was when their all-new electric caught my eye. I had seen a few in Norway, but we hadn’t been considering all-electrics until that point. Don’t ask me why, because I don’t know. We hadn’t been thinking, I suppose. 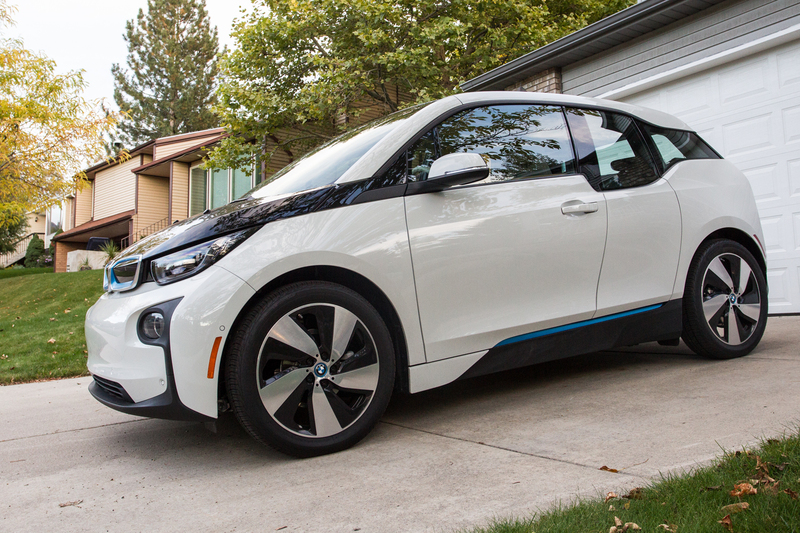 I go to the only BMW dealer in town and ask if I can take a look at the i3. The friendly guys there were eager to help out. 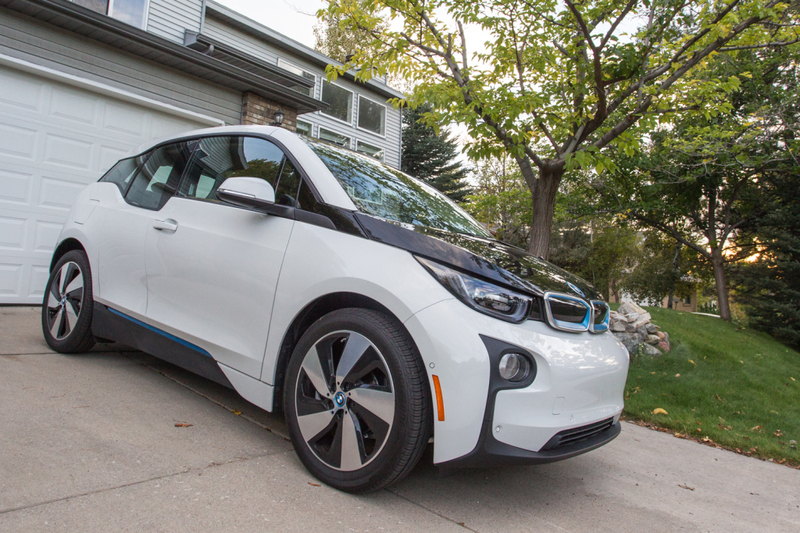 I was test driving an European specification i3 (dealer demos), and it was fantastic! The torque, the power, the regenerative braking, the futuristic appearance inside and out, the sustainable materials used in the build and everything else. I tried to look really hard to find a reason why it wouldn’t fit our needs and I could find none. We spoke about it over lunch and went for another test drive that same afternoon. The car was so impressive that we wanted one! NOW! BMW had no i3’s in stock and the ones that were on the ship didn’t speak to us. We put in a custom order after they said it would be an eight to ten week wait for the arrival of the car. The wait began. After waiting about three weeks, we began to get impatient. The car had still not entered production and I ran into frustrated buyers about long wait times for ordered cars. At the end of week four, our frustration had reached its peak. 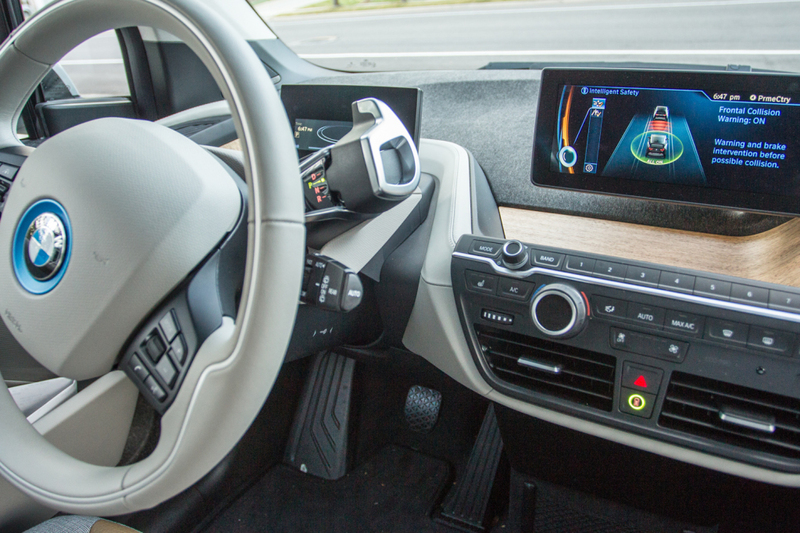 I was casually browsing the dealer website and noticed that they had a car come in that was nearly the same as what we wanted, except for that fact that it had swapped out the range extender (a two-cylinder gasoline engine that can charge the battery in an emergency) for a lots of gadgets (and other BMW wizardry). Since we felt that the range extender was so important after all, we called our friendly dealer and asked if we could swap our custom order for the one that they had in stock. Yes, was the answer. And within a few hours, we had the car in our garage. It has been a month now with the car and there is nothing to complain about. This is one amazing car. The first few pages of the manual are written for eco-minded people like us. The car was built using 100% renewable energy, 70% less water usage and 50% less carbon dioxide emission than an average car. And that combined with all the sustainable materials used to build the car makes it one of the cleanest cars in the world. 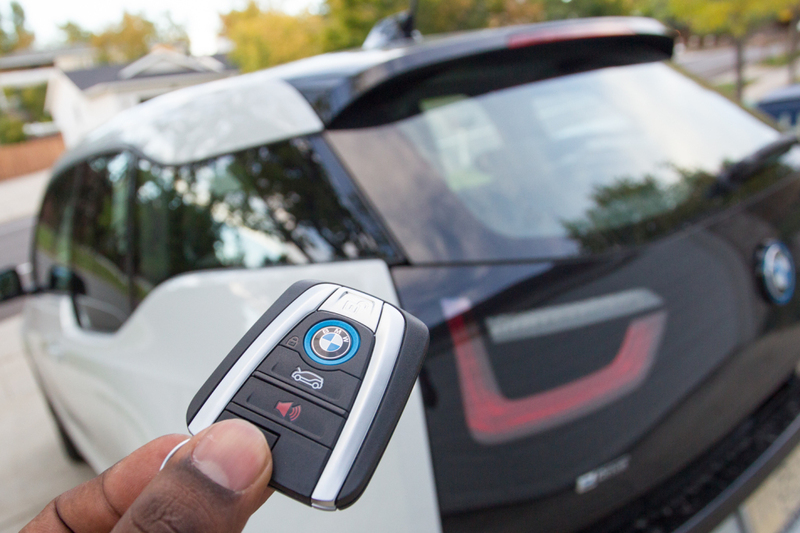 And here’s the fun part: the i3 is, currently, the fastest BMW from 0 to 40 mph (60 km/h). It is incredible considering that the BMW M cars are so fantastically fast and well-loved. The i8 will take over the fastest BMW crown soon, but for now this is one little rocket. An eco-friendly rocket, I must add. Fun. The hood and the roof are always black regardless of the car color chosen. We picked white because it looks the best (obviously! ), and it also the color of a zebra. Someone told us the car looks like a Stormtrooper from Star Wars. Perhaps. The huge 19″ wheels make the car look smaller than it actually is. The “key” is meant to be kept in a pocket or a purse. It only has to be in close proximity to the car, like it is in most modern cars. 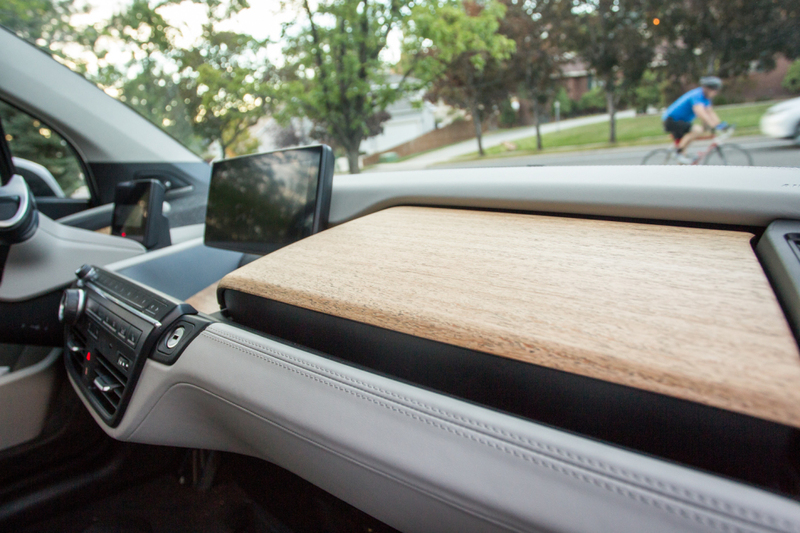 The eucalyptus wood dashboard adds a touch of eco-friendly and is unlike any other car I have seen. It feels as good as it looks! There are two floating displays. I must say that it is one of the most beautiful and user-friendly interfaces I have come across. 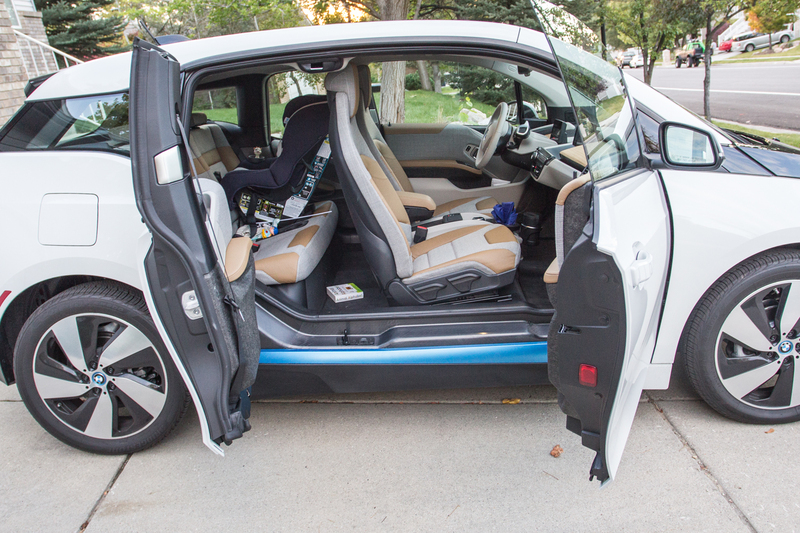 Carriage doors make the car appear roomy and inviting. The door is the B-pillar and the carbon fiber body allows you to have such a design. However, the problem is that the rear door must be closed to close the front door, and the seat belts for the front seats are on the rear door. It can be a little awkward if there are more than two people traveling, but that is a rare case for a primarily urban car. 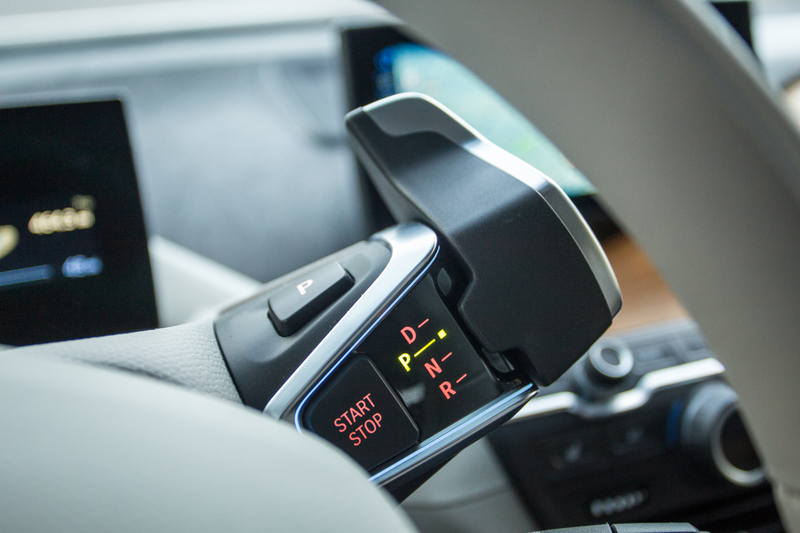 A simple and minimalistic “gear shift” is located under the steering. It was tricky to get used to, but I now think it’s a great design. 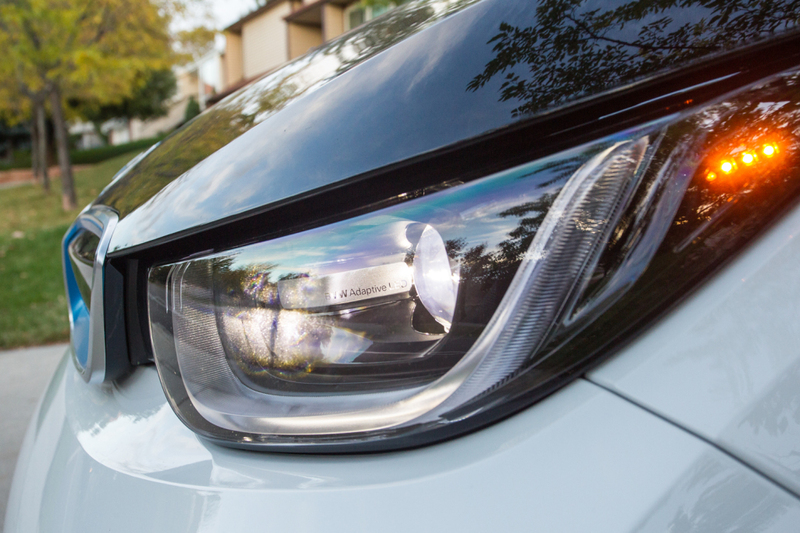 BMW’s Adaptive LED lights give the car a beautiful appearance and provide some great functionality while driving at night. Carbon fiber! 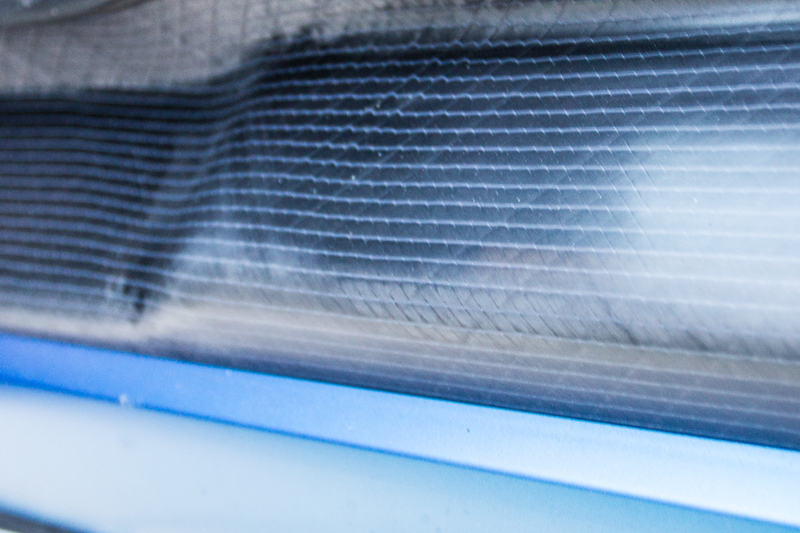 A carbon fiber-polymer hybrid body makes the car extremely light and strong. Fascinating stuff. 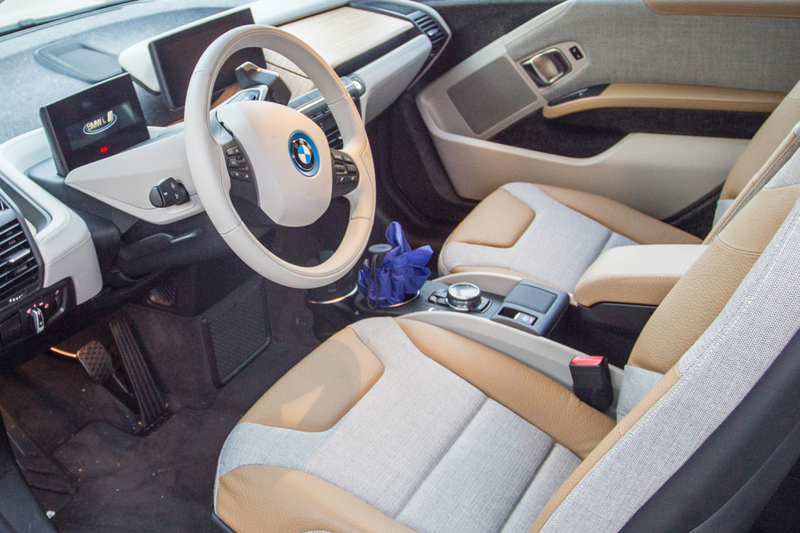 Great colors along with environmentally friendly naturally tanned leather gives the interiors an inviting appeal.